James Bond is the secret agent best known in the gaming world as starring in the popular first-person-shooter Goldeneye on the Nintendo 64. This game does not follow the original movie plot, but rather takes it and changes it up quite liberally. The use of Daniel Craig as James Bond seems to justify this change in story, as his James Bond character has a tougher, more aggressive personality to getting the job done. 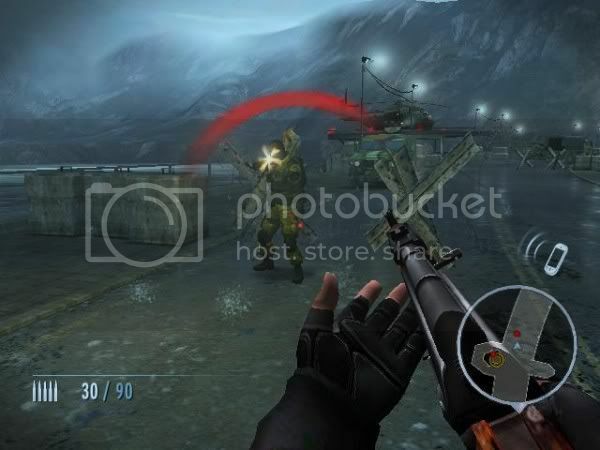 The game implements some of the features found in other popular FPSs including Activision's own Call of Duty games: you can sprint for short bursts, fire from the hip or "line-of-sight," and swap out guns when you reach the carry-on limit. The game supports a broad range of control schemes: remote and nunchuk, classic control, GameCube control, are included. Honestly though, players will be making a big mistake without giving the remote and nunchuk combo a try, as it is arguably the definitive control scheme for the Wii. Point and shoot quickly and precisely. You can customize the controls extensively, so you are sure to find something that will work great for you. The single player campaign is quite impressive on its own. The game is linear but not excessively so. 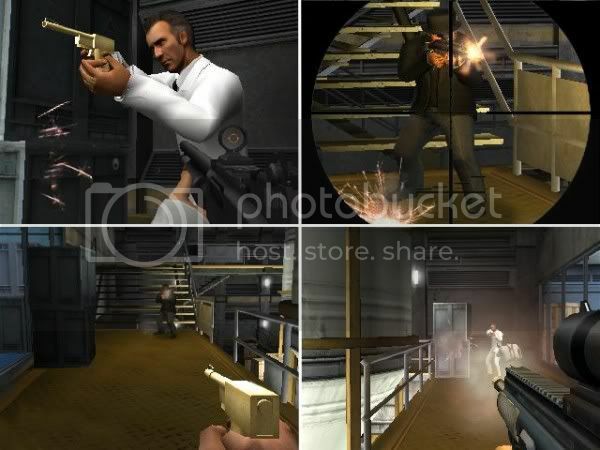 Environments are large enough to allow some freedom, and this becomes more apparent on higher difficulty levels when you must accomplish a variety of mission objectives, in some ways similar to the N64 Goldeneye. The game rewards stealthiness. On some missions, if you get detected, you are most likely to be overwhelmed by the enemy forces. Enemies (AI) are ruthless and cunning, performing things you wouldn't normally be able to do like run and slide for cover. There are some very impressive graphical effects with plenty of detail in the surrounding environments and atmosphere: rain, snow, foliage, mist, swirling debris, all looking very believable. Wii is not HD but it can still create some detailed visuals. For example, I was pleasantly amazed with the night club level, which looks quite authentic. You have the flashing lights and a lot of people dancing on the floor. Take a closer look and it becomes clear the kind of graphics tricks implemented to create this type of display, but the end result is great. Voice acting is pretty good, with a lot of memorable lines taken from the original Goldeneye movie (with new voice work). Music is handled differently than the original Goldeneye game. Rare accomplished some very beautiful pieces for that shooter, and while Wii does create some memorable music, a lot is re-used as it adapts to the situation. The scripted aspects of the game add to the cinematic feel of the game. QTE (Quick Time Events) are scattered throughout, including “boss battles,” but not to the point of being overused. The multiplayer modes are a lot of fun, although the game lacks voice chat for online play. The game supports local multiplayer via split-screen, a great bonus for those get-togethers with friends, just like the N64 days. Unfortunately you can’t add bots (computer controlled characters), so if you’re playing with one friend, the match will be quite dull. Multiplayer adds tons of replayability. The online mode is the true heart of multiplayer. Obtaining kills, doing well in the different play modes, all work toward building up experience points that allow you to ‘level up,’ resulting in more guns, more equipment, for use. 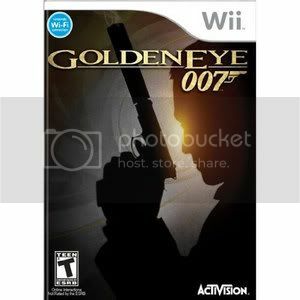 Overall, having played FPSs before it (including the much-hyped Conduit, Red Steel series, and various Call of Duty games) 007 is my favorite FPS on the Wii, where the developers got it right and made great use of the Wii’s strengths. I've never written a review before, all criticism welcome! I really enjoy this game. Cool. Most likely a future purchase for me. I sure hope so. I need the extra headshots.